Editor’s note: Baseball is back and Yahoo Sports is previewing all 30 teams over the next month. This year’s previews will focus on fantasy and reality, as our MLB news staff and our fantasy baseball crew come together to assess each team before opening day. 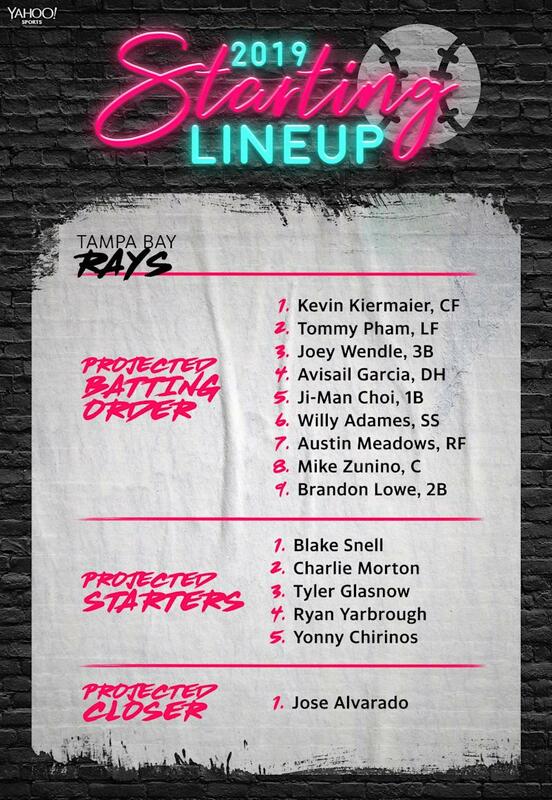 Next up, the Tampa Bay Rays. Popularizing the “opener” is going to follow the Tampa Bay Rays for a while, which is probably a badge of honor for one of baseball’s most forward-thinking franchises. The Rays, who have never been big spenders, continually find interesting ways to compete with the likes of the New York Yankees and Boston Red Sox in the AL East. The problem is, every year seems like a new challenge. Every year is an opportunity to ask, “Can they really do it again?” For their sake, let’s hope for the opener strategy has a longer shelf-life than the Wildcat offense had in the NFL. The Rays, who won 90 games last year, have managed to find success despite having a lot of moving parts. Heck, they traded Chris Archer at the deadline last year. Of course, they had the eventual AL Cy Young winner in Blake Snell, so that sure helps. It’s always a sum-of-the-parts type strategy in Tampa Bay. This year’s parts may not blow you away on paper — besides Snell, there’s not really a must-have fantasy player, for instance — but that’s kind of how the Rays do it. They have players loaded with potential (Austin Meadows? Tyler Glasnow?) and guys who will often surprise you. 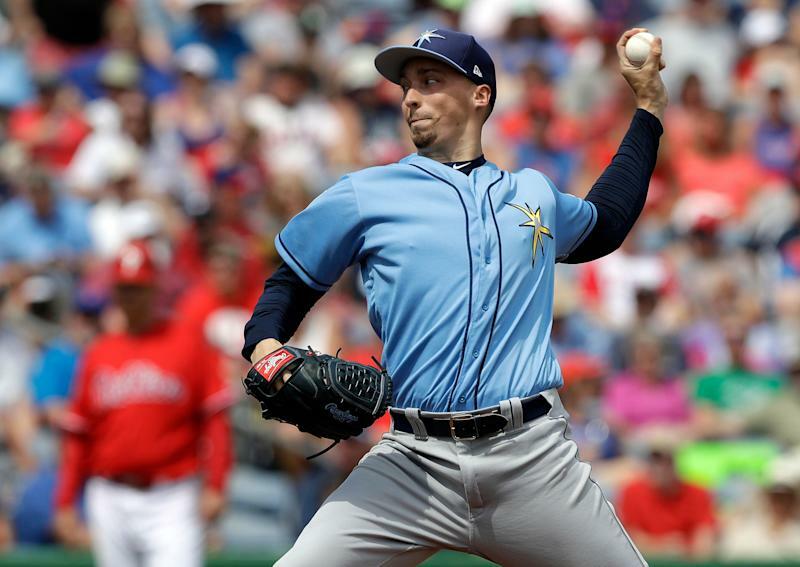 The biggest prize of the Rays offseason is veteran starter Charlie Morton, whose name may not ring out like Bryce Harper, but he’s been mighty good the last two years for the Houston Astros. He gives the Rays a solid second starter behind Snell, and another good arm to bridge the gap between the front of the rotation and the openers. The Rays also added Avisail Garcia, the rare player whose batting average can fluctuate nearly 100 points year to year — it was .330 in 2017 and .236 in 2018. He could be good or incredibly frustrating. Mike Zunino also came over in a trade with the Seattle Mariners. He’s great on defense but the bat is also up-and-down. The Rays are also betting on Yandy Diaz, who they acquired from the Cleveland Indians in the Jake Bauers trade. He’s a versatile infielder who had a .797 OPS last season in 39 games. Who is Tampa Bay’s breakout player? What is Tampa Bay’s biggest fantasy question? 1. Success with openers: The Rays were trendsetters in 2018 when they brought “openers” to the forefront of MLB. They’ll almost certainly utilize that strategy again in 2019 with Blake Snell, Charlie Morton and Tyler Glasnow as the only starters set in stone, and they’ll need similar success when they do. The Rays finished top 12 in MLB in rotation, bullpen and overall ERA, which helped them win 90 games last season, but they lost a key cog in that strategy when frequent opener Sergio Romo signed with Miami. If Tampa Bay’s pitching takes even a small step back this season, it will be costly. 2. Protect the Trop: The Rays won 51 games at Tropicana Field last season. That matched the third-most home wins in franchise history, and tied for third overall in MLB last season behind only the Red Sox (57) and Yankees (53). It’s a unique atmosphere considering that the Rays rarely have more fans in the ballpark than the visiting team, but they’ve still made it a difficult place for opponents to win. That must continue in 2019.